He's a good detective...with a bad habit. Frank Marr knows crime in Washington, DC. A decorated former police detective, he retired early and now ekes a living as a private eye for a defense attorney. Frank Marr may be the best investigator the city has ever known, but the city doesn't know his dirty secret. A long-functioning drug addict, Frank has devoted his considerable skills to hiding his usage from others. But after accidentally discovering a kidnapped teenage girl in the home of an Adams Morgan drug gang, Frank becomes a hero and is thrust into the spotlight. 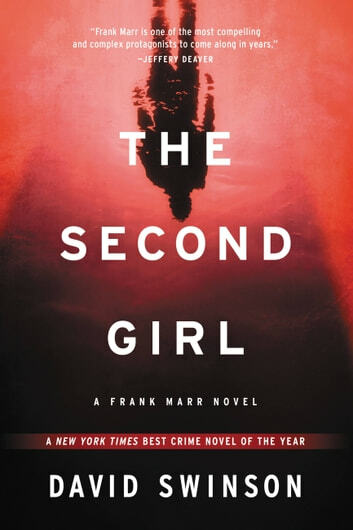 He reluctantly agrees to investigate the disappearance of another girl--possibly connected to the first--and the heightened scrutiny may bring his own secrets to light, too. Frank is as slippery and charming an antihero as you've ever met, but he's also achingly vulnerable. The result is a mystery of startling intensity, a tightly coiled thriller where every scene may turn disastrous. 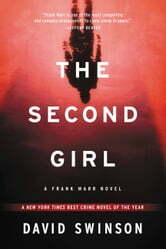 THE SECOND GIRL is the crime novel of the season, and the start of a refreshing new series from an author who knows the criminal underworld inside and out. Don't miss Frank Marr's next case, CRIME SONG, out now!